A really thoughtful post that echos a lot of how I have been feeling for some time. It is hard to find advice about pests and diseases in any gardening book, or for that matter simple advice on laying out a garden that doesn't go off into design speak etc. I recently made a suggestion to a publishing firm around a book I was thinking about which would be a sort of how to for the average joy living somewhere like I do on the average housing estate. But no you can't have books that are focused on such a small market and really it wouldn't have the coffee table appeal of say yet another book on gardens of some part of the country which of course there is such a large demand for that you can't even give them away in the local garden club raffle! I find myself more and more reading the likes of Margery Fish, Lloyd and am currently enjoying Helen Dillon's garden. They are telling it like it is without the tedium of double digging but without the rosey tinted glasses. As for allotments I think they suffer from some of that old school approach of this is hard. When I got mine I was enthusiastic, wanting to grow this and that, very ambitious but I became worn down by the other allotment holders telling me that I was under estimating how much effort this would take or that and what I needed was a raised bed and some potatoes or cabbages and these were the chaps who had grown veg for years. They smiled indulgently at my green manures, my attempts to grow celeriac, yacon etc but st least my Jerusalem artichokes brightened the place up more than their tedious cabbages!!! And I think you're right about much - the relentless passions and the embarrassing enthusiasms of the Carol Kleins of the garden world must make many a prospective gardener hide behind the sofa. 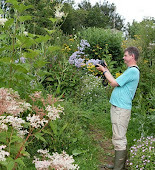 But when I (and you) started gardening we didn't have personal access to Facebook groups like the Garden Professor's blog, https://www.facebook.com/groups/GardenProfessors/ which actually discusses science and gardening, or the excellent work of people like Charles Dowding, which is based in experiment and experience. As you suggest, I have some 1950's garden books which would make anyone, not just an 'organic' gardener blush for their chemical war on everything which moved - so I think the veg gardener may well be better off. At least in some ways. I've sometimes thought the opposite of what you suggest - that gardening is presented as far too difficult. The idea that it needs demonstrating for half an hour every week, every year, on television in the growing season is, if you think about it, a little mad. And the need for copy week after week produces an enormous amount of nonsense on paper purporting to be telling us 'how to'. It's only if you are growing veggies in the totally worthy attempt, as you recommend, to cut household bills that you need worry about most of that stuff. Plants want to grow. Give them half a chance, they will. You are right about most of this - including censorship in deference to advertisers, and by a rather punitive and scary organic crowd. And the relentless drive to extend the reach of gardening to the best consumers - the beginners,who are still in need of lots of expensive equipment. And indeed you may be suggesting that television personalities might well be best discouraged from writing yet another glossy Christmas book. But - well, it's a complex picture, I think, worthy of much more exploration and discussion? Spot on Noel. I am guilty of the raised bed attractive v productive thing myself. 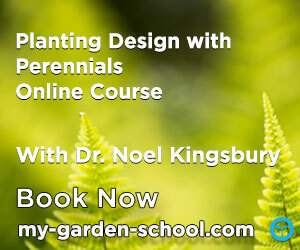 We are persuaded that we must grow every plant, create every scenario and have every gardening gadget going. In reality many of us just don't have the time to devote to doing this properly and end up disillusioned or disappointed. We should be encouraged to get out more and discover the gardens and gardeners who can create this beautiful but largely unrealistic world portrayed by various media. It is a joy to meet likeminded visitors who appreciate simplicity with a little imagination and also understand the hard slog (therapeutic of course) involved in creating a temporary paradise. Leave your purse at home if you go to a garden centre but take it with you to a nursery. Why do you start off being coy about the fact that you were reviewing Carol Kleins latest book "Making a Garden" in the January issue of The Garden? You were brave enough to be critical of the book there? 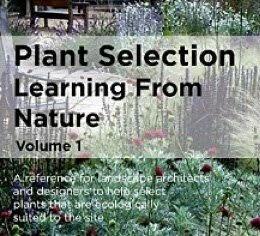 If you really spend half your time weeding, you really ought to read more of Anne's work! Ps. And while we are in critical mode, and noting your willingness for a bit of mea culpa, how about having a poke at the "lavish photography" that invariably illustrate garden books? When was the last time you used pics of plants that were anything other than looking at their best in your own books? by 'eck Noel, you've summed that up well! I take issue with paragraph 4. The Bad Tempered Gardener extols garden avoidance not garden work, and Anne has addressed many of the hard work frustrations in Outwitting Squirrels. I completely disagree with the statement 'massive increase in women becoming active as gardeners'. Women in my youth always did the gardening at home, the men only being allowed the hedge trimming and lawn mowing and erection of fruit cages, otherwise being banished to the allotment. I think it is more correct to say that there is a massive increase in women who think they garden, by filling the garden with cute signs and other tat, planting straggly unfed bedding in under watered pots, but never properly addressing the cloddy soil, lumpy lawns, leaning fences, slimey paths and crowded shrubs. I have many friends and clients in this category, bless 'em. As I read through this post I found myself agreeing with many of the points that were made...gardening being too expensive (because we focus on the immediacy of design effect rather than gardening process), the over-abundance of garden tchotchke, poor garden maintenance, and the loss of respect for the contributions of science being the things that resonated most with me. I do take exception to the apparent low respect for sustainability and organic gardening however. Let me preface what I have to say by stating first that my major in college was design, but I graduated with a minor in science (microbiology). Also, I have the utmost respect for Noel's background and contributions to gardening. But it concerns me that someone with such considerable influence would acquiesce to the chemical industry by providing a stamp of approval on the use of herbicides and pesticides without sayng anything about the benefits of first tryng more earth-friendly methods or stating the negative impact of using said herbicides and pesticides. Indeed, I do understand that these chemicals have the potential for humans to return a site to a state where Nature has a more equitable opportunity to overcome invasive species accidentally introduced by well-meaning human beings. But I believe a great deal more thought needs to be applied before taking that step. I can't help but think of English ivy, English laurel, and English holly, in addition to Himalayan blackberry in our part of the world (the Pacific NW in the USA) as the bane of my existence on our acre of land. I could go out and chemically spray all of these, but because we also have a creek running through our land that feeds into a much larger watershed, my conscience forbids me to consider anything but hand-pulling, digging, goats, etc. as we work to restore native plants to this part of our property. Design will play a role initially, but then we want to see what Nature will do on its own with the hand of the gardener only doing what is necessary to remove interference of invasives or inconsiderate, trash-throwing passersby. As Noel points out, gardening is a heck of a lot of work. But the rewards are substantial to the human spirit. Perhaps what we are seeing is the long, lingering senescence of serious garden writing, more reflective of publishing demographics and societal trends waxing and waning. Who wants to hear about slugs and aphids and black spot? Boring! So books turn into long magazine articles with eye candy appeal, instead of deep meditations on possible pitfalls (even if that approach might balance expectations). But generally, I agree with Anne Wareham when she asks why one might need weekly how-to lessons with their scientific underpinnings. Why not focus on joy and passion in "making a garden"? For myself, four decades of gardening has taken its toll on passion. I now take as much pleasure in a plant full of bees or butterflies, it seems, as in a full-on spectacular border. I would say that yes, garden writers from the late 50s to the late 70s concentrated on problems. However, before the late 50s what they were mostly concerned with was techniques, that is to say how you seed and grow a delphinium. How you stake it, how you cut it to display. Of course how you protect it from pests was also mentioned but the approach to pest management was more holistic and writers dealt with the question in a more general way. Look at a Penguin book on gardening from just after the 2nd World War. It always provides a great wealth of information not only on how to garden but also on re-using and recycling. If I could only have one gardening book, I would select without hesitation the 1942 edition of my one volume encyclopedia of gardening from the New York Botanical Garden. It has all you need to know. I love really old gardening books because of the detail they give. I have an old set by Liberty Hyde Bailey; four huge books with incredible line drawings. Everything about running a greenhouse, grafting, and many, many other things. Sadly, around the early 1960s the Sunset book mind set took over and gardening books became beautiful but uninformative. It's probably simply to do with the fact that weeds, diseases and problems are pretty, no, really boring to read about and are covered extensively elsewhere. Also, I know many are difficult to deal with, but most of the common ones are easy to handle. Aphids? Squash them or spray them (preferably with organic soap). Slugs? Everyone knows what to do. I don't think I can bear to read another '50 ways to deal with slugs and snails' article. I'd prefer people to concentrate on healthy soils and nutrients, because that is actually quite interesting and ultimately helps with the natural defences for problems and pests. As a casual observer of gardening, the sector has been guilty of overcomplicating things over the last couple of decades. And whatever it has been doing, has slowly been working less and less to inspire the masses. We can point the finger at consumerism, or take the blame. Personally I believe things need to be done differently to capture people's interests again. Excite them. I'd love to read a book about gardens as wild life reserves, trying to spark people's imaginations to take an interest in insects and animals, whether friend or foe. That would make learning about problems much more interesting and joined up. So if one book doesn't mention problems and concentrates on the joy and exciting bits of gardening, I see no problem in that. Not every book has to cover every element of gardening. Carol Klein is a mainstream figure in gardening, if she can hand hold a few people into her lifestyle and encourage an interest in gardening, great. Once they're hooked they can turn to the RHS and others for the detail. Most of it is widely available for free online. I suspect the book is aimed at the newbie, not the expert. I haven't read this book so this post is more of a commentary about gardening books overall. The slight irony is, I'm off to buy a load of books specifically on weeds and diseases and am retaking the problems unit in the RHS Level 2 course to bump it from a pass to (hopefully!) a commendation :D I do now find it interesting, but it's not what drew me into gardening. This article covers so many different issues but I'm going to pick up on just one. Raised beds for growing vegetables. Ever so slightly snobby attitude there Noel. Oh why am I being so coy. EXTREMELY snobby attitude there Noel. Most people have a postage stamp sized garden. Leisure time is as tiny as their gardens. They practice gardening (often with no knowledge at all) because it is a leisure activity. It gets them outside. It's their own patch so they can decorate it as they see fit. A raised bed, particularly one edged with sleepers, doubles as a place to sit. It allows access to those who cannot bend down. It doesn't require the martyrdom of endless weekends spent weeding vast swathes of bare soil between the vegetables. It gives access to vegetable growing on any rubbish soil. Or concrete for that matter. Great joy is achieved by growing a plant that you can eat. Extreme pleasure is felt when the plant actually tastes of something. Learning that vegetables should actually taste good leads the grower to seek out more flavoursome food. They visit small producers, farm shops etc. They shun the tasteless perfection of the supermarket varieties. They decide that when the kids have grown up they'll buy a place with more space for vegetables. They'll become gardeners. Ah another article written by a Garden Designer, where their brain is outmatched by only their ego! Perhaps Noel can explain to all of us what Climate change is going to bring to the world of gardening. In 40 short years even your own BP is saying that fossil fuels will cease to exist or be to expensive to extract from this earth. So no oil, gas, chemicals, man made fertilizers etc will no longer be available. While science might be able to explain some things to you, I doubt no one really knows what to expect until we are confronted with it head on. So you can dismiss organics, or the green movement, but in 40-50 years from now our children will have no other choice than to confront it, and deal with it. Designers? Some are good, some are horrible, some are mentioned for their conclusions, and others are easily forgotten. They all think that they are great at designing a great garden, they read all the books, or all the articles, they read the reviews, and they speak as though they know it all. Yet as I have found to be the case about 75% of them have little to no experience with actual gardening. Other than digging in their own beds at home, or possible contributing at their local veggie patch, or show casing a garden in which they designed on paper, or in their mind. I have been a landscape/gardening professional for the last 35 years and counting. That mean hands on, digging, in the dirt, mowing, edging, pruning, planting, driveways, irrigation, lighting, installations, chemicals, organics, Japanese gardens, Italian Gardens, English Gardens, drought tolerant gardens, wetlands, veggie gardens, raised beds, green houses, you name it the list goes on. One thing I have learned though, designers are good at designing, but when it actually comes to doing the work and maintaining the garden the bulk of them fail! Why? There is no replacement for actual experience, for what they think they know because they read this book or that magazine, or that article might provide you with knowledge, but provide you with less actual experience or proven results. As we come back to climate change, and as the weather is already proving to create havoc around the globe. You can take all those books of the past, and all the articles of now, as well as all that powered machinery, chemicals, etc and toss them out the window. Sure there might be some honorable mentions or good pieces to highlight, but the truth of it is that this world has changed from yesteryear, and it is going to continue to change. Well beyond what you and I can even imagine or even predict. For when the sea's rise, and the landscapes change, when there is no more oil, chemicals, etc. You can't go back, you can only go forward. In my own business I work hard to remember certain key things that do work, but keep an open mind for new technology and new ways, as a open mind is the key to success, and what works in some areas might not always work in your area. For our world and our gardens are going to drastically change in the very near future! Noel, I loved this post. Fifteen years ago, when my husband and I were enthusiastic professional garden designers and installers for a by-and-large yabo clientele, I wrote a book about the basics of gardening, emphasizing working on the sandy and/or swampy soils indigenous to southeastern North Carolina. It was a very good book, if I say so myself, well-written, funny, informative and packed with not-too-difficult-to-swallow science. One national press and the University of North Carolina Press rejected it for being too regional. Another said it required too many photos; did I know how expensive photos were to reproduce? What's a garden book without pictures, I asked. My focused contact said, "Less expensive." One small publisher accepted the manuscript, then immediately closed down his book division. At this point, I did what any sane person would do, and gave up trying to make the blind see. I refer to the feel-good school of gardening as Southern Living Syndrome. Can't tell you how many times new homeowners waved pictures torn from that annoying magazine of gardens photographed during the ten minutes of the season in which they were perfect, implying that, yes, you too can have a yard that looks like this all year round here in the South!!! "This is what I want!" they'd tremulously exclaim. Except they couldn't have it. Even an army of knowledgeable gardeners dancing attendance 24 hours a day couldn't maintain such Edens, defending against weeds, pests, and weather. Some years later, we gave up gardening for hire, as our zest for acting the irresistible force to our clients' immovable object waned, and finally died. It's a pity, because gardening feels good. It's great exercise, gets your hands dirty, smells marvelous (most of the time), encourages curiosity, raises awareness of the interconnectedness of all things, and introduces you to new lifeforms. I've become a great fan of weeds, bugs, and microbiota, and developed an extensive rapport with the locals. Anne Lamott wrote in her book "Bird by Bird" that many of her writing students want to "have written," skipping the messy parts and failures actual writing entails. Current gardening books pander to that I-want-to-have-gardened set. For myself, I fear a world in which no one knows how to do or make anything. The latest Malaysian airliner crash occurred because the "pilots" didn't know how to fly the plane when the onboard computers malfunctioned. They didn't. Know. How. To fly. The plane. I understand it's a complex and hydra-headed issue, getting more people into actual dirty-hands gardening, or any other endeavour that doesn't involve staring full-time at some electronic device. Although when the Great Power Failure happens, I'll be glad I can reference my excellent little book, and have a bit of a head start feeding myself. Now I'm going to go warp my loom and weave some cloth, so I'm not dependent on those machines either. Noel, I agree with many of your comments. However, I personally prefer to buy and read beautiful gardening books that inspire me to try more imaginative planting, rather than books that focus on the drudgery and chores that await anyone who considers gardening. As far as practical solutions to garden pests or diseases, those are found so easily online and the solutions are covered by those who grow under conditions similar to my own, not in England or California, which are filled with beautiful gardens, but which bear little resemblance to the conditions in which I garden. I don't think there is anything wrong with encouraging people to garden and not dwelling on the difficulties that may or may not arise -- and definitely won't arise if the garden is never planted in the first place out of fear of difficulties. And gardeners actually do face far fewer difficulties today: plants are bred to be hardier, more disease-resistant and longer-flowering/bearing, and can be bought already started and ready to plant out -- and who would want to go back to how it was before: having to start slow-growing trees from seeds purchased from hand-typed lists without photos? I'm quite happy to live in a world where many of us can afford to buy romantic notions of nostalgic past times -- without the hard work. There is no reason why everyone needs to be an expert or even know enough to start plants from seed. Once beginner gardeners are confident about growing from starts, some of them may realize that they can save money and be more knowledgeable by learning how to grow from seeds. But if they don't, that's just fine. And realistically, growing veg is never going to make very much of a difference in most people's grocery budgets (the $64 tomato...). I think it's more for the satisfaction of seeing a few plants that we have grown ourselves and knowing how our food is made (and especially to show this to our children). I guess I believe that more people gardening is good, period, even if they aren't all enthusiasts or experts -- or even know very much at all at first. Buying starts and garden ornaments means jobs for other people, just as hiring someone to change your oil does -- I enjoy driving my car, not toiling under it to make it run, but that doesn't make me any less a driver. A pleasure to read - beautifully said. However, I do agree with Katherine Crouch's comment "I think it is more correct to say that there is a massive increase in women who think they garden, by filling the garden with cute signs and other tat, planting straggly unfed bedding in under watered pots, but never properly addressing the...etc. etc.." Too much tat. Too much consumerism in the garden period - and as garden writers we are constantly urged to push more. I highly recommend Jenks Farmer's book "Deep Rooted Wisdom," which does not simplify gardening per se, but helps the reader to seek mentoring by other gardeners and to reconnect with various techniques that don't require the latest and greatest bit of gardening gadgetry. Down here in the sunny south of Africa we are experiencing a similar trend, the weirdest stuff is now available at your local nursery. As a landscaper myself I visit nurseries on daily basis and am left agog by all the new bits, not to mention all the drivel on the shelves. Generally the staff know little to zero about plants and can seldom even tell the difference between a Petunia and a Pelargonium. Never mind point one in the direction of the deciduous trees or heaven forbid a hardy perennial! With gardening as with any ‘’green’’ related industry at the mo its about having the latest gadget or hybrid. Little thought is given to the relevance or hardiness as long as its new and improved. I see this in clients as well. There’s no sense of permanence to a garden anymore. No, my grandfather planted this tree, or this pots been in the family since great aunt Nelly was still young. No sense of history. Values have changed. In my own world I call it the toasted cheese conundrum… when I was little, toasted cheese sarmies were a treat, we had them on special occasions or when something amazing happened. Now I have toasties when ever I feel like one. They are no longer special or much of a treat. Instant gratification. Lemon trees planted with fruit on. Veggie plants fruiting, carrots [for heavens sake!] in a 6 pack! Instant everything. Clients often whine about the length of time and money we spend o.n soil prep, we do double dig! We add bone meal and compost and sand when we need it. Drag out tonnes of cement damaged aggregates to be replaced by new fresh soils. Even other professionals question our soil prep principals. Im not shy to say my great grandmother and later my grandfather did it this way and so will I. Not sure what I’m trying to say, but clearly making a breakfast of it! Permanence, history and proper garden practices are the foundations of good gardening, after that one can start thinking about the pretties. Then one must consider beyond the moments beautiful flower and the suitability of its character for your application. Do you really wonder why literature (and most other things in our lives for that matter) have become so superficial? All that counts in our society is the fun factor. We don't want to be bothered with some "silly" facts that may shake our oh-so-wonderfully-ignorant peace of mind. The world is going to hell but why should I care? We worship the god of economy because we're told that only he will bring us happiness. Money makes the world go round. Same applies to the garden centres and the book market. I've noticed myself that I don't buy as many books as before because they don't teach me anything (new). Got one of Carol Klein a while back and couldn't believe why she has such a success. She's sweet and passionate alright but as a more experienced gardener you're looking for MORE than sweet talk. It's all a matter of quantity instead of quality these days, I'm afraid. You made me smile as I too read lots of these 'off-putting' books when I started out, telling me to double- and triple-dig and what a hardship gardening is that I never quite understand what made me hang on and turn into the passionate gardener that I am today. People are often afraid and feel they need experience and knowledge which is true but gardening is about experimenting and finding out for yourself as well as being inspired by others and learning from them along the way. As I designer I'm desillusioned because most people ask for a garden that is low- or better still no maintenance. How sick is that? People have long since lost the connection to the natural world and don't want to be bothered by it. I think publishers and authors want to attract more people to gardening but are afraid to put them off through mentioning 'pests', diseases etc. Everything has to be easy and beautiful these days and this until we die. And if you don't die beautifully then -unlike plants- they lock you away. Welcome to the ever young, ever happy and carefree society! Gardens are hard work no two ways about it leave off and nature takes over. I've worked in horticulture all my life I'm now 63. I learn't initially from a fifties Suttons veg book with straight fertilizer mix recipes for growing veg, boy did it grow and the nurses and assistants in the hospital I worked at loved the cheap veg I sold.Straight lines and lots of veg just like my friends dads garden, not that you'd learn a lot from him other than observing a weed free patch full of veg, we were all just glad he wasn't our dad. It all then went organic then designer, asking a bakery if they would stock our herbaceous plants I was asked "were they organic", well they were mostly but not certified.I'd still love to go back to a job and see if the garden designers clematis grew downwards, down the wall she put chicken wire on to guide it down into the cellar entrance. We gave up our nursery we only sold plants, it now thrives as a tea room and sells trinkets and horticultural ephemera oh and bought in plants One well Known nurseryman said to me "it's organic so it full of weeds" another that its "scruffy now" they moaned in a recent newspaper article we left it full of holes.We did dig up some plants but most were removed by a gardening firm who's boss refers to philadelphus as Philadelphia's.We sell via plant sales now but as we are not web/media featured or savvy some plant fairs are impenetrable. I howled with laughter at the book review Noel. I watch garden tv and wonder who does the work behind the scenes, just as who is the gardener not mentioned in the article about Mrs So and So's delightful garden in the glossy mag.Pulling out ground elder in the rain isn't fun but necessary only Fergus Garret and co advocate not stopping for rain and after all English Gardens were not made by saying "oh how lovely and sitting in the shade"
I shared this post to the Garden Professors Facebook group blog, which can be read here. Easy to join if you're on Facebook. The assumptions behind Kingsbury's rather meandering rant are interesting. He bemoans the decline in real-world thinking about gardening-- the inevitability of weeds and work. He also sees a surge in interest with no corresponding growth in skill. Kingsbury lists a lot of possible reasons for this. But he misses something important. He misses the overarching environmental predicament we are in. My take on it is this... there are a whole slew of young people who did not grow up near land. They are city dwellers, urbanites in every sense. Their parents did not garden, being of the leisure generation when the goal was to not get one's hands dirty. Although young people, the target market for the new wave of gardening consumerism, know absolutely nothing about gardening, they ARE environmentally aware. They know all about resource depletion, soil degradation, pollution and the overarching catastrophe of climate change. They fear collapse, both economic and environmental--which go hand in hand. So they want to "make a difference". They expect that "hard" skills will soon be needed. Old-fashioned homesteading skills, self-sufficiency, growing food. Hence the move to community gardens and allotments, urban farms, and urban "food forests". The big world of growing stuff is trial and error, and also learning from various (often conflicting) sources on the Internet. So it takes a few years to get good at it. And while the urban homesteaders are figuring out how to grow food they are also trying to save the planet in a bunch of other ways--very time consuming and distracting. And they find out that gardening is work. You need to visit your garden every two or three days. You need to weed, water, observe, intervene. Maybe they find out they don't actually LIKE it that much, even though the idea of food security is very appealing and profoundly important to them. So we need to cut them some slack. Gardening, like seafood, just doesn't sit well with everyone. For young people it's a difficult and uncertain future. You can't blame them for taking a different approach. And it is totally understandable that writers and marketers use feel-good tactics to sell gardening to a generation with a desperate and irrational desire to feel good about the future. Thank you for an article that sparks such discussion! I am young and can offer a few possible explanations for my generation, as I'm sure that most of the frustration is aimed at the young and new-to-gardening. My grandparents gardened; my parents did not. I weeded at their homes but not my own - we had mow-and-blow gardeners. Therefore, when my love of plants bloomed forth (forgive me), I had no guide. And just like those starting to cook who need pretty photos, I needed to look at a photo to know which flower was what, etc. Someone gave me an original "Joy of Cooking" - how useless! We simply don't cook like that anymore, many ingredients aren't even available, and my favorite line "Cook until done." What?! Useless. Old school gardening books are just as bad. What does an aphid look like and how do I know the "first sign"? Who has so much room to grow? They all seem to say, Simply pour on the water and the chemicals. Well, that's simply irrelevant. We go to Google and search. And it's a God-send. Yes, it's overwhelming with too much information - but there are photos and videos and explanations for my specific region. I have moved many times in the past 15 years. I have bought three homes and sold two, and the real estate market is crazy. People want perfect everything, all done. Photos are shown online, and gardens sell. Easy, low maintenance (looking), small spaces to tinker and grow veg or flowers. None of us youngers have any clue. I still don't know how to sow seeds, or even collect seeds. We are starting from scratch. Plus when my generation moves, it's to a new region of soil, humidity, sun, wind, etc. I am not on the same land for 40 years. My generation grew up learning visually - it's the Age of the End of the Textbook. In defense, watching a video of how exactly to cut my rosebush is far more helpful than text. God bless YouTube. I'm delighted for any book that sparks people to go outside and start the grand experiment. The longer I garden, of course, the more specific information I seek. Not everything has to be a tome of scientific endeavor. A lot of the old advice is based on commercial growers and doesn't work for home. One can hate Martha Stewart but I was never taught to properly iron/polish silver/clean floors/plant hydrangea and she taught me, through pretty pictures and step-by-step instruction. Honestly, IMO, the Baby Boomers eschewed the home for career, and their children didn't learn the basics so now we learn as it works for us. Lastly, my area is in a gardening zone but many heirloom bulbs not "zoned" for me do well. If I kept to the rules, I wouldn't have these gorgeous bulbs. The zones are changing, yet haven't been updated. As another poster stated, gardening is experimentation. If the older, experienced gardeners are interested in actually helping us newbies, please loosen the reins and meet us where we are. For we want and need you. Good article, so many places I could comment but I'll land on this one: When I want bug or weed advice I turn to the internet or to a book about bugs or pests. I no longer go to my general gardening books. I even **gasp** got rid of about a dozen gardening books a year or so ago because the internet is always on and my bookshelf is finite. If the book didn't offer something unique or had a "heart attachment", out they went. I noticed one category of book that survived the big cull is the "through the season" type because it offers an experience "look over my shoulder and we'll walk-through why I did what I did". As a hard-working gardener I too agree that gardening - in recent years - has been portrayed as a very leisurely, somewhat light & fluffy pursuit that anybody with an eye for aesthetics and beauty can do. No doubt photography and modern digital cameras have also played their part. You can now take 1000's of pictures of plants & borders and simply choose a few great shots: we are all professional photographers these days! Surely this must add to the growing impression that to achieve and maintain beauty in a garden is relatively easy. Also, i'm guessing that the real grunt & grime of 1970's gardening has shifted away from the growing of food (forever concerned with potential pests & diseases!) and much more towards ornamental gardening, concerned more with beauty and design. As a professional gardener who is now rapidly approaching 50, I can tell of the sheer hard work maintaining a garden really is. I am constantly telling rosey-eyed hort students that they should really give their mid-life career change idea some serious thought before they go out into the world of garden maintenance. Trouble is, they have spent years working in a non-physical environment (usually offices) and looking at pretty pictures of flower borders thinking it's this environment that they were born to work in! Very often they have a massive sciatic shock when they do actually 'go gardening' 5 days a week and realise that most of their work consists of some very isolating, repetitive, mundane, knee & back-breaking grunt! As a result of the sheer physical nature of gardening full time, I have now sought out employment (away from physical gardening 5 days a week). I know so many gardeners who have had to 'retire' around the age of 50, realising that their joints and muscles are on limited tenure. As you mention, the modern-day gardening media doesn't talk enough about the perils and pitfalls of gardening. Real gardeners know that for much of the time you are either bending over with a spade or fork (why do they still insist on making them so short?) or down on one's knees! Gardening is a fantastic occupation, if not best experienced as a hobby, in my opinion. However, there is a very fine line between it being a healthy pursuit and one that absolutely knackers your body. Serious (professional) gardeners will always have to find ways to walk that line, preserve their bodies AND maintain an income at the same time! It ain't easy that's for sure. Just noticed this as it was quoted elsewhere - "She does however, seem to have as much an aversion to hard information as much as many other garden media." Wonder what made you say that...? Some particular "information" I'm missing? Just come across your article today may 21st and agree with every bit of it except maybe the woman in gardening part. Depressingly, some of the comments from the green crowd are bordering on nastiness and shows just what you're up against when you deviate even slightly from the green path of righteousness. There's a lot to be said for proper religion.